Many modern scholars believe that the Genesis 5 and 11 genealogies contain gaps due to fluidity, and thus cannot be used to help date creation or the Flood. Their case is threefold. First, the Genesis 4 and 5 genealogies are so alike they must have come from a single original genealogy that developed into two. Second, the symmetrical ten-generation form of Genesis 5 and 11 indicates schematization. Third, science has proven that mankind is older than a no-gap reading of Genesis 5 and 11 will allow. This paper negates the first two of these arguments by showing that conflation of two original genealogies better accounts for the similarity of the Genesis 4 and 5 names, and by demonstrating that at least three lines of evidence argue against schematization of Genesis 5 and 11. Thus, as far as the biblical evidence is concerned, the arguments for fluidity lack a firm basis. One might reasonably conclude that the Genesis 5 and 11 genealogies do not contain gaps. Since the nineteenth century, many scholars have expressed the opinion that the genealogies in Genesis 5 and 11 contain generational and chronological gaps, and thus should not be used, as James Ussher did, for chronological purposes. These scholars believe that genealogies experience fluidity over time; that is, names are often added, omitted, or changed in form, especially spelling form. Since the earth is allegedly older than what the church has consistently believed from earliest times, they suggest that names must have been omitted from the Genesis 5 and 11 lists as they were handed down from generation to generation. Thus, in their view, these genealogies cannot be used to establish the date of creation or the Flood. Such a view, however, is troubling to some scholars, who see no indication in the biblical text of generational or chronological gaps. They insist that Genesis 5 and 11 clearly present a continuous no-gap genealogy and chronology from Adam to Abraham. These texts, they argue, are worded in such a way as to exclude omissions and gaps. To suggest omissions and gaps is, in their view, a violation of a straightforward reading and inerrant view of the passages. Thus, they believe that the text can be used to date creation and the Flood, and modern scholars would do well to follow suit. Which view is correct? 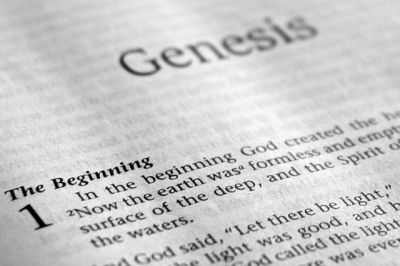 Did fluidity occur during the transmission of the Genesis 5 and 11 genealogies? Were names dropped so that the genealogies now contain generational and chronological gaps? Two groups of scholars argue for gaps. One group thinks the Genesis 5 genealogy is not an accurate historical record, but the result of an ancient Mesopotamian list of legendary heroes (either a king, sage, warrior or tribal ancestor list) that has experienced so much fluidity during the long process of transmission from one generation to the next that most, or all, of its historical and chronological value, if it ever had any, has been lost. They express similar views concerning the Genesis 11 genealogy. For these scholars, the early Genesis genealogies, if they ever were genealogies, are discontinuous; that is, they contain generational omissions or gaps. Did fluidity occur during the transmission of the Genesis 5 and 11 genealogies? The second group of scholars (mostly evangelicals) who argue for gaps believes that the genealogies of Genesis 5 and 11 are accurate historical records, but that a certain number of names have been omitted from the lists. Thus, they disagree with the theologians just mentioned concerning the historicity of Genesis 5 and 11, but agree with them concerning the presence of gaps in the genealogies due to fluidity. These two groups most often mention the following three arguments in support of gaps due to fluidity in the genealogies of Genesis 5 and 11. (1) The genealogies in Genesis 4 and 5 are so alike that they must have evolved from a common source. (2) The symmetrical ten-generation form of the Genesis 5 and 11 genealogies indicates schematization in the tradition of ancient Mesopotamian king, sage and ancestor lists. (3) Humankind originated longer ago than a no-gap reading of Genesis 5 and 11 will allow according to scientific evidence. Some other modern theologians believe the names and numbers in Genesis 5 and 11 form a continuous (without generational omissions) linear genealogy and chronology from Adam to Abraham. While they readily acknowledge fluidity as a fairly common occurrence in ancient genealogies, they reason that the occurrence of fluidity in some genealogies does not prove fluidity in all genealogies. They see the genealogies of Genesis 5 and 11 as two of the many exceptions to the fluidity rule. The late Samuel R. Külling is representative of this group.16 In his analysis of early biblical genealogies, he begins by acknowledging that many biblical genealogies, such as those in Ezra 7 and Matthew 1, contain gaps. In his opinion, however, biblical genealogies come in more than one genre. One type of genealogy (for example, Ezra 7) aims mainly at establishing someone’s right to a certain office, position or inheritance, and need not include every generation. Another type includes sufficient details, especially numerical data, to indicate it intends to establish a chronology. Külling finds numerous examples of this genre through 1 and 2 Kings and 1 and 2 Chronicles in those brief passages where a king of Israel or Judah is said to have reigned a certain number of years before being succeeded by his son (or a usurper). When grouped together these passages form a twenty-generation chronology for both Israel and Judah, and are often used by theologians for establishing the dates of important events. For other examples of this genre, Külling points to the passages in Genesis giving the age of Abraham at the birth of Isaac and the age of Isaac at the birth of Jacob. These patriarchal passages are also commonly used for chronological purposes. Recent scholars who agree with this reasoning include Brevard S. Childs, David T. Rosevear, James B. Jordan, Richard Niessen, Bert Thompson, Robert R. Wilson and Martin Anstey.17–23 Earlier supporters of this view include John Calvin and Martin Luther. Most of the theologians who deny fluidity in the genealogies of Genesis 5 and 11 realize their ‘genre argument’, as reasonable as it may sound, will gain credibility only if they can offer reasonable alternative interpretations of the evidence for fluidity. How do they reply to the three main arguments for fluidity? Parents throughout the ages have often named their children after uncles, cousins, grandparents and other family members. Among studies which conclude Genesis 4 and 5 descended from different sources, David T. Bryan’s is the most exhaustive.26 Bryan admits a striking similarity between the two texts as they now stand. He notes most scholars have explained the likeness by positing one original source as the basis for both texts. They think the original may have been the Sumerian King List or a list of important ancestors. A few scholars have accounted for the likeness in another way. In 1890, Green argued that these genealogies probably experienced partial conflation or assimilation at the time they were translated into Hebrew.27 Bryan notes that recently Finkelstein and Hallo28,29 advanced a similar theory. Pointing to the Sumerian King List and the similar-sounding list of pre-Flood sages as a case in which two distinct but closely associated lists gradually grew more alike over time, they suggest the same happened to the Cainite and Sethite genealogies. Richard Niessen reasons that just because some ten-generation lists have been schematized, it does not necessarily mean that all have been. The final fluidity-resistant dissimilarity listed by Bryan is the difference in biographical information concerning the two Enochs and the two Lamechs. The Cainite Enoch is associated with the building of a city, but the Sethite Enoch walks with God. The Lamech of Cain’s line commits murder and brags about it, but his counterpart fathers righteous Noah and prophesies about it.33 Because he judges these five dissimilarities to be resistant to fluidity, Bryan grants them great weight and determinative importance. He concludes that the two texts are so different that they must have come from separate sources which partially assimilated over time. Thus, he believes that fluidity has occurred with regard to the spelling of names, but not necessarily with regard to the omission of names. How do theologians who deny fluidity has altered the genealogies of Genesis 5 and 11 reply to the second main argument for fluidity, which says the symmetrical ten-generation form of these texts indicates schematization in accordance with a standard Ancient Near Eastern pattern? Their replies follow several lines of thought. Külling highlights an important point that most scholars seem to have overlooked; namely, that the Genesis 5 and 11 genealogies are not really symmetrical. The genealogy of Adam contains ten names (Adam to Noah),35 with the tenth having three sons (Shem, Ham and Japheth). The genealogy of Shem records only nine names (Shem to Terah), with the ninth fathering three sons (Abraham, Nahor and Haran). 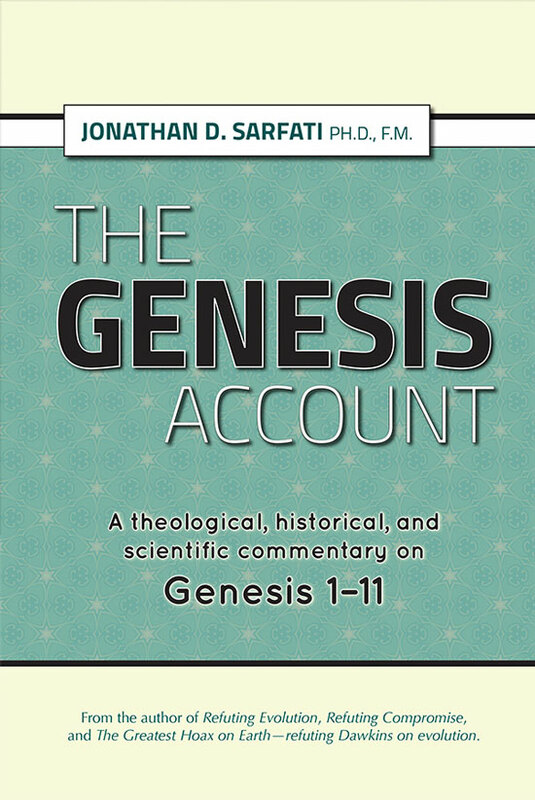 To these arguments must be added the findings of several well-known and widely respected scholars who do not necessarily support a no-gap view of Genesis 5 and 11, but who nevertheless maintain that these biblical genealogies have no connection to the Sumerian King List, or who conclude that there is in fact no ten-generation pattern among the ancient king sage, or tribal ancestor lists. A few examples must suffice. 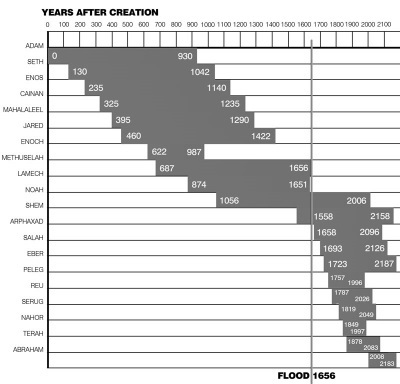 The chronogenealogies of Genesis 5 and 11 can be used to date creation and the Flood, as James Ussher did in the 1650s. Click for larger view. The ten ancestors of David found in Ruth 4 provided a biblical example. The final division, the ‘historical line’, consisted of the immediate ancestors of a king or important person who wished to validate his right to a position by linking his line with his predecessors. This division is quite long in the AKL and GHD. He found no examples in the Bible, but felt their existence at one time was quite possible.49 From this analysis, Malamat concluded that in Amorite culture the standard form for a table of ancestors was ten generations, just as found in Genesis 5 and 11. The third main argument for gaps due to fluidity in the genealogies of Genesis 5 and 11 is that, according to scientific evidence, humankind originated longer ago than a no-gap reading of these two genealogies will allow. Because the reply of chronogenealogy advocates to this argument is voluminous, technical and complicated, it is beyond the scope of this study. But much evidence against this argument can be found in the pages of this journal and elsewhere. In summary, those who take the chronogenealogy view insist that the first step in deciding the fluidity question is genre identification. Ancient genealogies came in different forms to serve different functions. Some forms accommodated fluidity, others did not. The inclusion of the age of each patriarch at procreation marks Genesis 5 and 11 as chronogenealogy, a genre which excludes the idea of fluidity. For chronogenealogy advocates, the second step in deciding the fluidity question consists of exposing weaknesses in the arguments for fluidity. First, they point out that the Cainite and Sethite genealogies have more, and more significant, dissimilarities than similarities, thus indicating that they probably did not evolve from the same supposed original source. The similarities are best explained by the tendency of extended families to use the same, or similar, names repeatedly, or from conflation in the spelling of the names, rather than normal fluidity. Second, they maintain that there was no such thing as a standard ten-generation form for ancient genealogies (especially Wilson contra Malamat). The fluidity question as posed at the beginning of this article asks, ‘Did fluidity occur during the transmission of the genealogies of Genesis 5 and 11?’ Scholarly attempts to answer this question revolve around three issues. 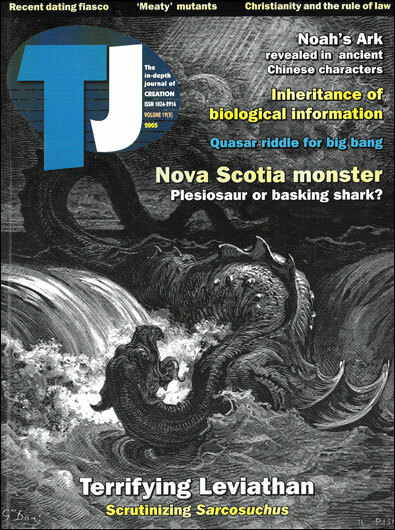 The first issue involves the importance of genre identification in the interpretive process. The foregoing discussion reveals a tendency among gap advocates to see all genealogies as the same genre. Although they often talk of different genealogical forms and functions, in practice they regularly draw conclusions concerning one genealogy by comparing it to a genealogy of a different sort. Their comparison of Matthew 1, which has no numbers, with Genesis 5, which has three different numbers for each of the twenty generations, and then their assumption of gaps in Genesis 5 because of known gaps in Matthew 1 provide prime examples of indifference to genre. Such indifference is hermeneutically indefensible. The multitude of genealogical forms extant in the biblical world should not only provide scholars clues to different functions, but also to different rules of interpretation. Since no-gap advocates emphasize careful attention and strict conformance to such rules, the high ground on this aspect of the issue goes to them. The third issue of note in the scholarly debate regarding the fluidity question concerns the possible schematization of the Genesis 5 and 11 genealogies to fit a standard ten-generation form. Malamat’s works on this issue led almost all scholars at one point to believe that such a form was standard in the Ancient Near East, and that the Genesis author dropped names from his genealogical source in order to meet the accepted pattern. Wilson’s subsequent work, however, has pointed out significant flaws in Malamat’s methods and conclusions, and has shown that both Ancient Near Eastern king lists and modern tribal genealogies vary greatly in the number of generations included, with no preference evident for any particular length. Hasel has shown that the SKL can no longer be used as an example of a standard ten-generation form, since nearly all versions of the SKL are between seven and nine generations. Thus, if a ten-generation pattern ever existed, it has yet to be demonstrated. Scholars no longer have an evidentiary basis for assuming the schematization of Genesis 5 and 11. In summary, the case for fluidity during transmission of the Genesis 5 and 11 genealogies suffers from a lack of evidence. While all parties readily acknowledge fluidity in some ancient genealogies, scholars have yet to present sound evidence of fluidity in the Sethite and Shemite lists. Conflation adequately explains the similarity between Genesis 4 and 5. Wilson has shown that the supposed ten-generation standard genealogical form was a myth, based on selected evidence. Thus, the main arguments for fluidity in this case lack a firm basis. This lack of evidence for fluidity does not necessarily mean that fluidity has not occurred, because evidence might yet come to light. At present, however, one might easily conclude, at least as far as the biblical evidence is concerned, that no omissions, additions or alterations (other than name conflations) have been made to the Genesis 5 and 11 genealogies. Does God have a ‘moral obligation’ to His creation? The spiritual death of the Adam tribe? Westermann, C., Genesis 1–11: A Commentary, trans. by John J. Scullion, Augsburg, Minneapolis, MN, pp. 348–354, 1984. Return to text. Westermann, ref. 1, p. 352. Return to text. Sarna, N.M., Genesis, The JPS Torah Commentary, The Jewish Publication Society, New York, pp. 40–41, 1989. Return to text. von Rad, G., Genesis: A Commentary, trans. by J.H. Marks, Old Testament Library, Westminister, Philadelphia, PA, p. 69, 1961. Return to text. Speiser, E.A., Genesis, The Anchor Bible, Doubleday, New York, pp. 41–42, 1964. Return to text. Gibson, J.C., Genesis, vol. 1, The Daily Study Bible, The Westminister Press, Philadelphia, PA, pp. 155–156, 1981. Return to text. Sasson, J., A Genealogical convention in biblical chronology? Zeitschrift für die alttestamentliche Wissenschaft 90:171–185, 1978. Return to text. Davidson, R., Genesis 1–11, The Cambridge Bible Commentary, Cambridge, New York, p. 61, 1973. Return to text. Kidner, D., Genesis: An Introduction and Commentary, InterVarsity Press, Downers Grove, IL, p. 82, 1967. Return to text. Archer, G., A Survey of Old Testament Introduction, Moody Press, Chicago, pp. 209–212, 1994. Return to text. Kitchen, K.A., Ancient Orient and Old Testament, InterVarsity Press, Downers Grove, IL, pp. 35–39, 1966. Return to text. Wenham, G.J., Genesis 1–15, Word Biblical Commentary, Word Books, Waco, TX, pp. 123–134, 1987. Return to text. Davis, J.J., Paradise to Prison: Studies in Genesis, Baker Book House, Grand Rapids, MI, pp. 102–151, 1975. Return to text. Hamilton, V.P., The Book of Genesis, Chapters 1–17, New International Commentary on the Old Testament, Eerdmans Press, Grand Rapids, MI, pp. 250–251, 1990. Return to text. Mathews, K.A., Genesis 1–11:26, New American Commentary, Broadman & Holman, Nashville, TN, pp. 281–282, 1996. Return to text. Külling, S.R., Are the Genealogies in Genesis 5 and 11 Historical and Complete, That Is, Without Gaps? Immanuel-Verlag, Switzerland, pp. 30–31, 1996. Return to text. Childs, B.S., Introduction of the Old Testament as Scripture, Fortress, Philadelphia, PA, pp. 145–146, 1979. Return to text. Rosevear, D.T., The genealogies of Genesis; in: Concepts in Creationism, Andrews, E.H., Gitt, W. and Ouweneel, W.J. (Eds. ), Evangelical Press, Welwyn, England, pp. 68–77, 1986. Return to text. Jordan, J.B., The biblical chronology question, Creation Social Science and Humanities Quarterly 2:1–16, 1979. Return to text. Niessen, R., A biblical approach to dating the Earth: a case for the use of Genesis 5 and 11 as an exact chronology, CRSQ 19(1):60–66, 1982. Return to text. Thompson, B., Creation Compromises, Apologetics Press, Montgomery, AL, pp. 173–181, 1995. Return to text. Wilson, R.R., The Old Testament genealogies in recent research, J. of Biblical Literature 94:169–189, 1975. Return to text. Anstey, M., Chronology of the Old Testament, Kregel, Grand Rapids, MI, pp. 62–123, 1973. Return to text. Since some scholars who accept the idea of gaps in Genesis 5 and 11 nevertheless believe Genesis 4 and 5 came from different sources, their opinions will be included here. Return to text. Wenham, ref. 12, pp. 123–124. Return to text. Bryan, D.T., A re-evaluation of Genesis 4 and 5 in light of recent studies in genealogical fluidity, Zeitschrift für die alttestamentliche Wissenschaft 99:180–188, 1987. Return to text. Green, W.H., Primeval chronology, Bibliotheca Sacra 47:285–303, 1890. Return to text. Finkelstein, J.J., The antediluvian kings: a University of California tablet, J. Cuneiform Studies 17:50, 1963. Return to text. Hallo, W.W., Antediluvian cities, J. Cuneiform Studies 23:63–64, 1970. Return to text. Bryan, ref. 26, pp. 180–182. Return to text. Bryan, ref. 26, pp. 183–187. Return to text. Bryan, ref. 26, p. 187. Return to text. Bryan, ref. 26, pp. 187–188. Return to text. Niessen, ref. 20, p. 63. Return to text. For a discussion on the additional Cainan in the Septuagint text see: Sarfati, J., Biblical chronogenealogies, J. Creation 17(3):14–18, 2003. Return to text. Külling, ref. 16, pp. 33–34. Return to text. Gispen, W.H., Genesis, Commentaar op het Oude Testament, vol. 1, Kok, The Netherlands, pp. 385–386, 1974. Gispen also acknowledges the lack of symmetry. The Septuagint lists an additional generation in Genesis 11, but strong evidence indicates this was a scribal addition. Return to text. Hasel, G.F., The genealogies of Genesis 5 and 11 and their alleged Babylonian background, Andrews University Seminary Studies 16:361–374, 1978. Return to text. See also Luke, K., The genealogies in Genesis 5, Indian Theological Studies 18:223–244, 1981. Return to text. 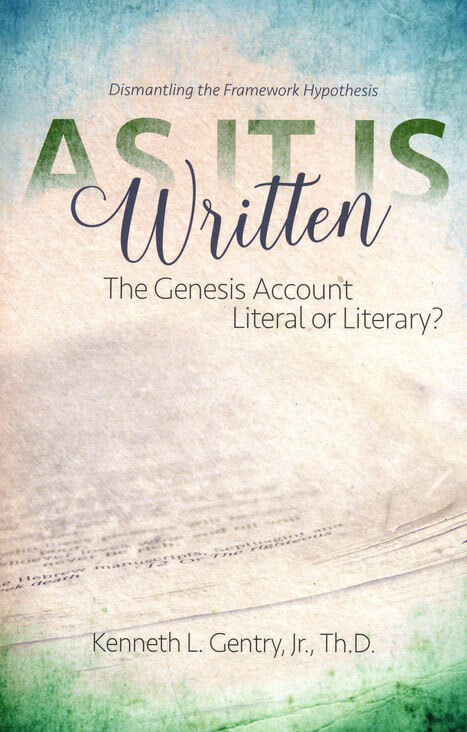 See Lambert, W.G., A new look at the Babylonian background of Genesis, J. Theological Studies 16:287–300, 1965. Return to text. Hasel, ref. 38, p. 367. Return to text. Wenham, ref. 12, p. 124. Return to text. See Jacobsen, T., The Eridu Genesis, J. Biblical Literature 100:513–529, 1981. Return to text. Wenham, ref. 12, pp. xxxix-xli, 123–125. Return to text. Rowton, M.B., The date of the Sumerian king list, J. Near Eastern Studies 19:156–162, 1960, also suggests a political motive behind the SKL. Return to text. Malamat, A., Kings lists of the old Babylonian period and biblical genealogies, J. American Oriental Society 88:163–173, 1968. Return to text. 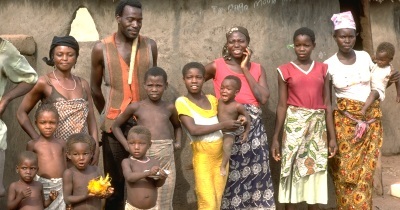 Malamat, A., Tribal societies: biblical genealogies and African lineage systems, Archives europeennes de sociologie 14:126–136, 1973. Return to text. See also, Wilson, Genealogy and History in the Biblical World, Yale University Press, New Haven, CT, pp. 11–205, 1977, for a thorough analysis of the forms and functions of ancient and modern genealogies. Return to text. Malamat, ref. 46, p. 164 Return to text. Malamat, ref. 46, pp. 165–168. Return to text. Malamat, ref. 46, pp. 168–169. Return to text. Malamat, ref. 46, pp. 169–171. Return to text. Wilson, ref. 22, p. 178. Return to text. Wilson, ref. 22, pp. 175–179. Return to text. See Wilson, ref. 48, pp. 18–55, for a thorough discussion of modern Arab and African genealogies. Return to text. Wilson, ref. 22, pp. 182–188. Return to text. Wilson, ref. 22, p. 188. Return to text. In Malamat, ref. 46, pp.165–166, Malamat’s own tentative language lends support to Wilson ’s conclusion that Malamat failed to prove his case. For example, in his discussion of the supposed ten-generation form of ancient genealogies, Malamat uses eight tentative words or phrases in eight consecutive sentences (possible, possibly, may have been, we may also assume, puzzling, we most likely, if we assume, tendency). Such language undermines his confident-sounding conclusion that ‘The ante and postdiluvian lines [of Adam and Shem, respectively], symmetrically arranged to a ten-generation depth, are undoubtedly the product of intentional harmonization and in imitation of the concrete genealogical model.’ Return to text. Wilson, ref. 22, p. 187. Return to text. Wilson, ref. 22, p. 189. Return to text.